Sacred Games is the new Netflix Original series based on Vikram Chandra’s 2006 thriller novel of the same name. With Nawazuddin Siddiqui, Saif Ali Khan and Radhika Apte in title roles, you will enjoy binge watching the 8 episodes. A kind of Indian Narcos if I could say. But one thing is clear, we have more stories to be told and made that we will see in Netflix and Amazon prime soon. This is just the start in my opinion. Well we cannot say it is the start, because Netflix has been acquiring rights and showcasing several movies and Indian TV shows for a while. The first time I binge watched a Hindi show on Netflix was Yudh starring Amithabh. And now we also hear Radhika Apte will again team up with Anurag Kashyap and come to us with the horror Series ‘Ghoul’ in August. 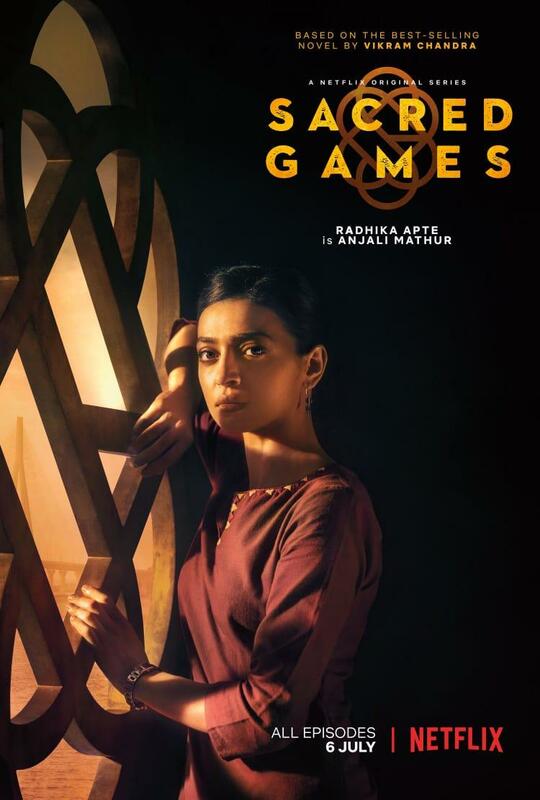 Sacred Games is set in Mumbai where a police officer Sartaj Singh (Saif) teams up with a Raw Analyst Anjali Mathur (Radhika) and they race against time to diffuse a Nuclear terror attack after tips from a former Don Ganesh Gaitonde played brilliantly as always by Nawazzuddin. Vikram Chandra who wrote the book ‘Sacred Games’ is the son of Kamna Chandra who has written stories for several Hindi films and plays. Most notably films like Prem Rog, 1942: A Love Story (1994), Chandni, Qarib Qarib Singlle and so on. Is this show worthy of all the hype?